Alter The Press! 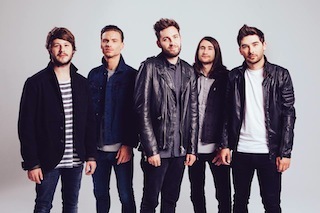 : You Me At Six Announce New Single "Fresh Start Fever"
You Me At Six Announce New Single "Fresh Start Fever"
You Me At Six have announced they will release a new single titled "Fresh Start Fever" on December 3rd. You can check out the single artwork below. The track is taken from the band's upcoming album Cavalier Youth, that drops on January 27th in the United Kingdom. A US release date is yet to be confirmed at this stage.